In 1946, Guy Larue founded his family’s estate in the small hamlet of Gamay, in Saint-Aubin, located just behind the famed Montrachet and Chevalier-Montrachet slope. 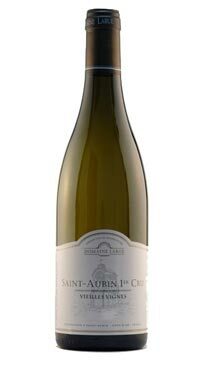 Much like its neighbor Chassagne-Montrachet to the south, Saint-Aubin was historically known for red wine, though the Larues have specialized in the great white crus of Saint-Aubin. Sustainably farmed Chardonnay vines growing on clay/limestone soil. The grapes are harvested and sorted by hand. The wine undergoes primary fermentation in barrel (25% new) and is aged sur-lie for 10-12 months with occasional lees stirring. The wine is racked before bottling. Notorious for it’s inclement weather, many producers struggled with the 2016 vintage and were unable to produce the quality they were accustomed to. 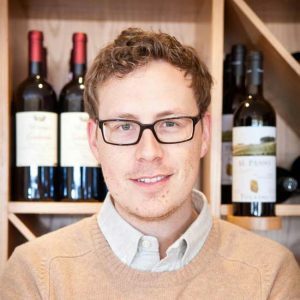 On the other hand, those who kept their yields extremely low and applied their oak judiciously produced many gems and Domaine Larue’s “Vieille Vignes” is certainly among them. The nose is vibrant and bright with white flowers, lemon/lime oils, orchard fruits and a subtle almond richness that belies the flinty mineral seam that drives this wine on the palate. The soul of Saint Aubin is in the tension between the depth of fruit and the strict minerality that keeps it all focused and this wine displays both effortlessly.